Gina’s head was spinning as she left the meeting. The medical center where she worked for 20 years was demanding a 10 percent cut in her cleaning staff. They had just added a new cardiac care wing, equipped with the most advanced technology. How could they invest so much in the medical center without recognizing the need for the highly qualified and well-trained environmental services workers required to clean it? Back in her office, Gina reviewed the center’s entire budget. What she found was the while her cleaning budget had been cut, the budget for infection control had increased. She knew Beth, the director of infection control. The year before, Beth and Gina had worked together on a committee to develop an effective infection control plain for the facility. Gina’s best chance of getting some of that lost money returned to the cleaning budget was to meet with Beth and convince her of how critical adequate cleaning staff was to preventing healthcare-associated infections(HAIs). But first, she’d have to do her homework. Gina began by researching and finding some starting information on HAIs in the United States.According to the U.S. Department of Health and Human Services approximately one in 20 people who receive inpatient care in the U.S. healthcare facility will acquire an HAI. The cause of these infections include medical devices that are indwelling- such as urinary catheters – infections at injection sites, surgical procedures improper use of antibiotics, diseases that are transmitted from patient to patient or from healthcare worker to patient and most important from Gina’s perspective, a contaminated healthcare environment. In a 2009 report, the U.S. Centers for Disease Control and Prevention (CDC) estimated the total annual medical costs attributed to HAIs to be in the tens of billions of dollars and the average per patient cost to be approximately $20,000. From her experience on the infection control committee, Gina knew HAIs were a major concern for the medical center, but her research enabled her to express it in clear numbers. For every HAI attributable to a contaminated healthcare environment, her department either directly or indirectly was responsible for an additional; $20,000 in healthcare costs. While not all HAIs were attributable to the level of cleaning in patient rooms, if each of the possible causes were responsible for an equal share of HAIs then inadequate cleaning of patient rooms would account for, at minimum, 16 percent of the total number. 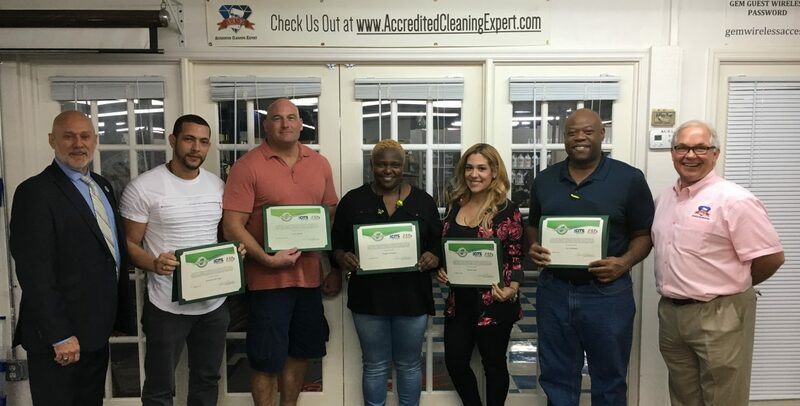 Based on Gina’s long experience in the cleaning industry, it seemed reasonable to assume that a comprehensive cleaning program using professional grade equipment, materials and chemicals, along with a proactive management approach toward training, accountability and adequate staffing, would bring about reductions in HAIs. Next, Gina used her cleaning management software to view the annual cost for cleaning one room and factored in the cost of HAIs. She determined that by reducing HAIs by just 3 percent – from 16 percent to 13 percent – her department could save the hospital almost $1,500 per room each year. When she shared these numbers with Beth and the medical center’s Chief Financial Officer (CFO), she was assured that her staffing reductions would be reconsidered. Walking back to her office, Gina felt almost giddy. She had saved some of her employees their jobs and proven an important point: More cleaning can actually mean saving. In the healthcare industry, it can even save lives. Thanks to Claude Berman of INFORMED: Cleaning Management Software for the development and use of the HAI Cost Calculator Spreadsheet for this article.